Today a very nice fellow pilgrim from Wisconsin joined us for the final few kms. We walk the same pace so our paths have crossed before. However, today’s farewells were final as he is continuing on without rest days. 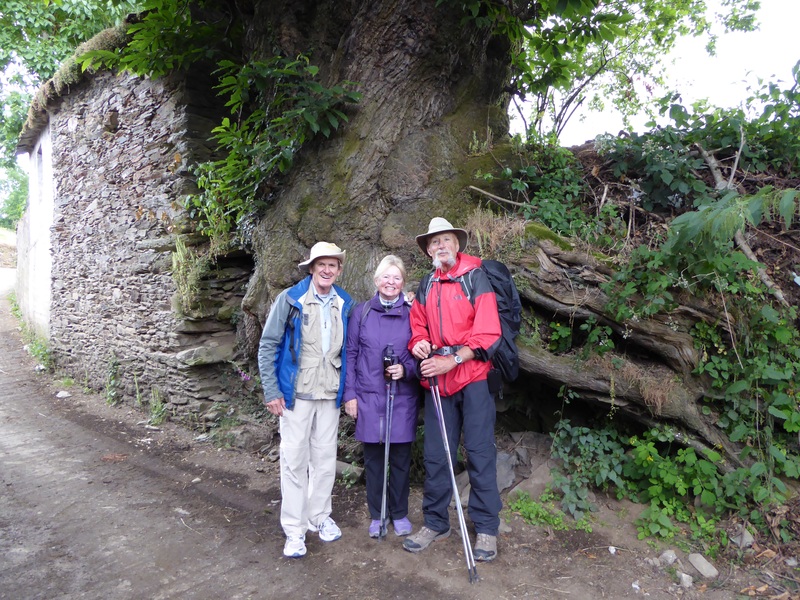 Such are encounters on the Camino— moments shared with spiritual understanding and concern. We were passing through one of the ” forgotten” villages when we came upon an abandoned stone chapel with wild flowers peeking out between the stones. It was so pretty, Rod stopped to take a photo. All the while, an elderly villager who happened by, watched us. After we left we saw him standing gazing in bewilderment at the ruined chapel, wondering what we could have seen to photograph……. Our casa rural is once again very rural— we met the inn keeper at a local restaurant and he drove us to the casa. Although dressed for the weather, we were cold and damp, but thankful that the forecast drenching did not occur. The casa is a large stone building, once a grand manor house. The heat was not yet on……Brrr. It was good to see a Spanish couple there who had shared our last chilly casa rural. They spoke a little English and had visited Vancouver. They, like many working Europeans try to walk the Camino in small sections each year. It is their annual spiritual renewal. 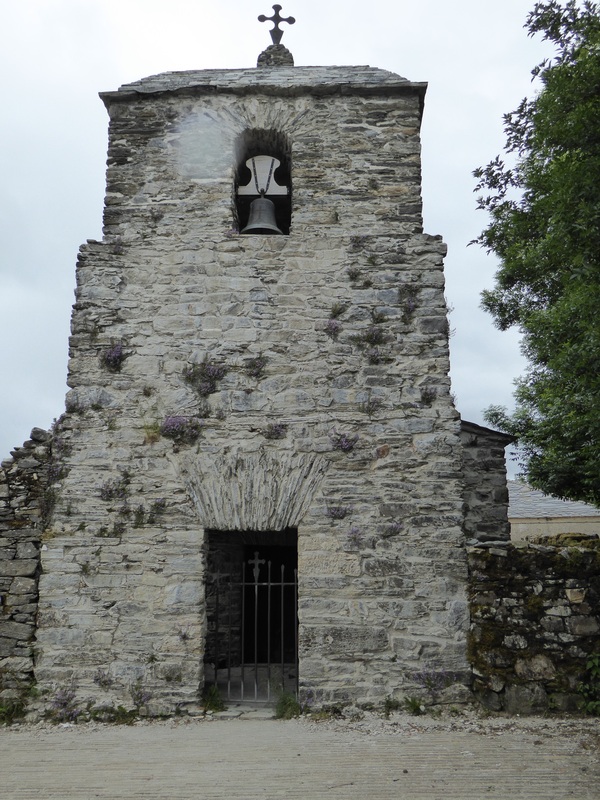 The forgotten old slate church that Delana referred to. 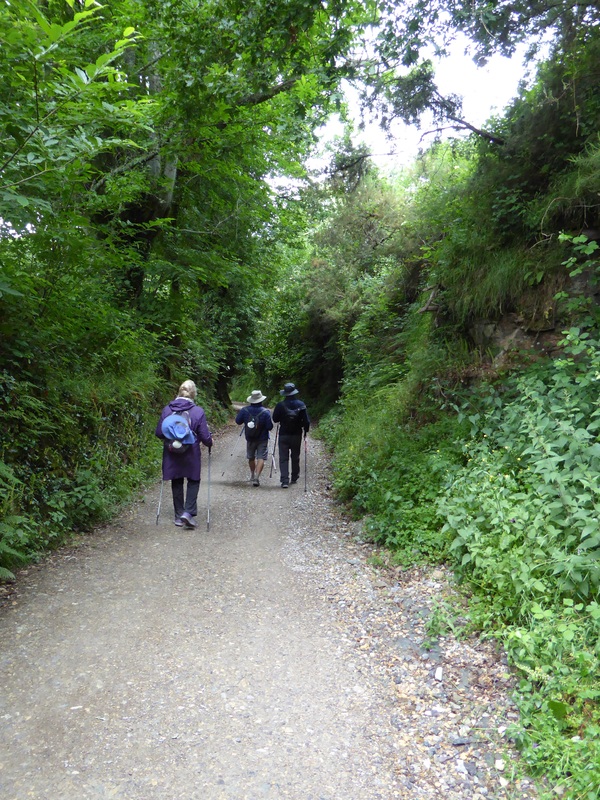 Walking the Camino, at ‘the pace of life’ allows pilgrims the opportunity and the time to open their eyes and discover what has always been there, but never noticed before. It was such a beautiful walk down the last 5 km or so into Tricastela. The canopy of green foliage kept the rain off us, it was like a nippy stroll through a green tunnel. 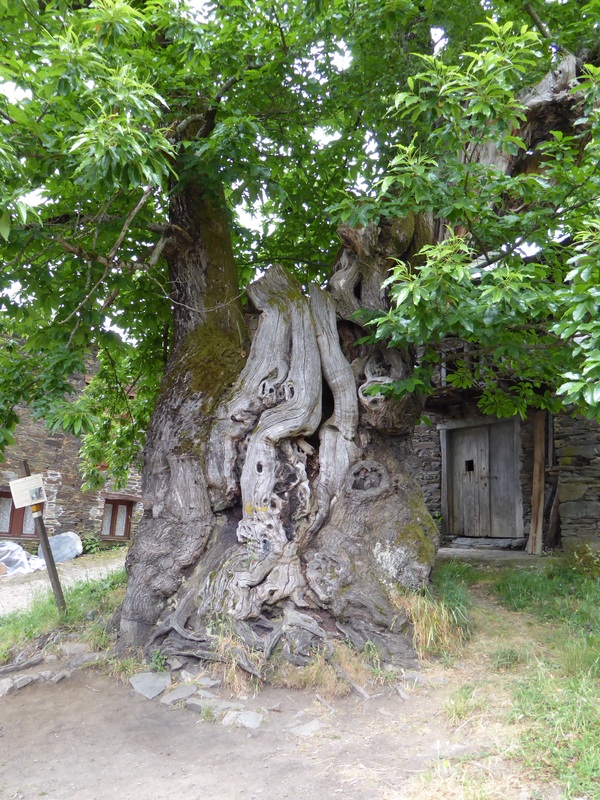 Ancient chestnut tree. How ancient who knows, the sign didn’t say! Interesting that chestnuts are not just for human consumption but for animal fodder as well. Over the course of the past few days we have shared time with a US Vietnam veteran. A gentle man, we enjoyed his company very much. 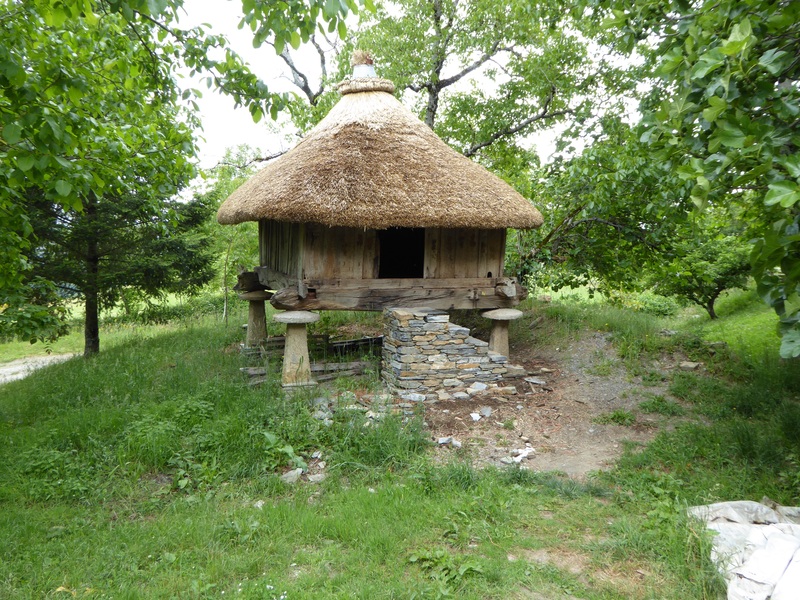 Grain storage site – as designed in the Middle Ages. Complete with air vents and a post and lip to prevent unwanted creatures from entering.